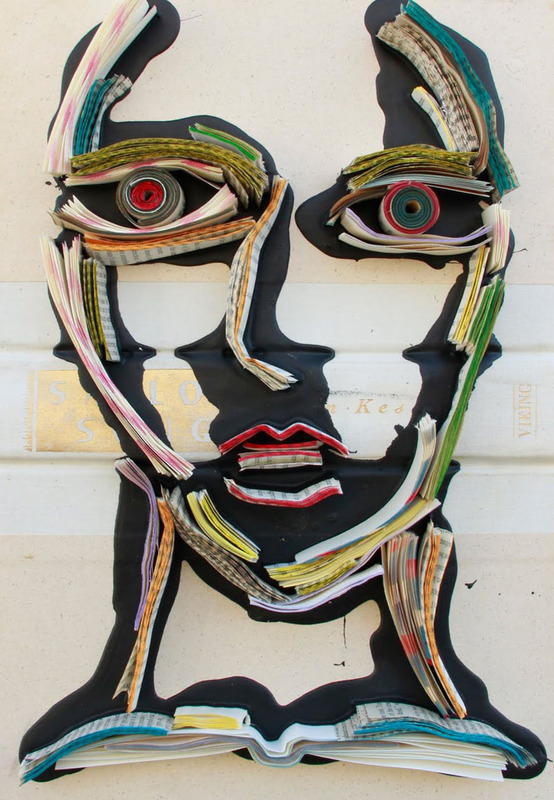 Reflecting on the shift away from print to digital in our current society, New York artist Nick Georgiou (presently residing in Arizona) creates sculptures, both two- and three-dimensional, by meticulously hand-stitching books and newsprint that he finds on the streets, and then integrates into the urban environment. My art is inspired by the death of the printed word. 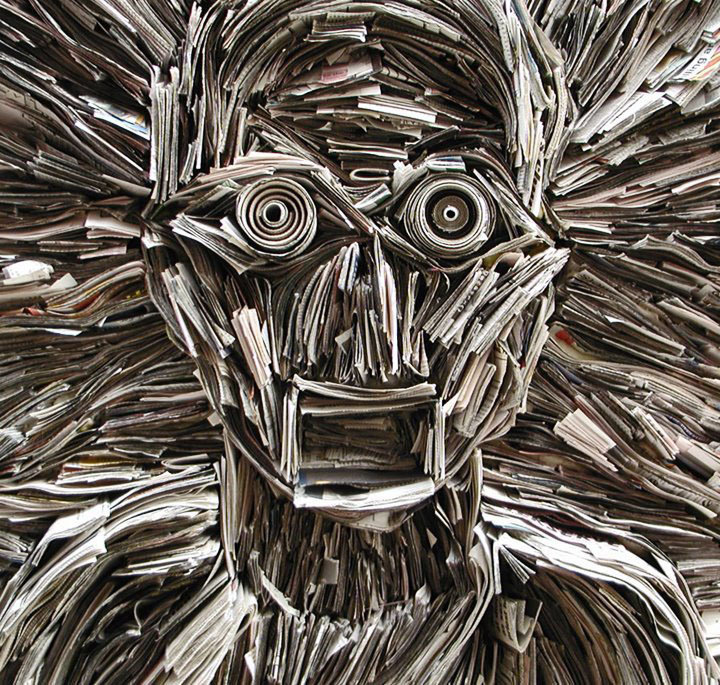 Books and newspapers are becoming artifacts of the 21st century. As a society we’re shifting away from print consumption and heading straight towards full digital lives. My sculptures are products of their environment —both literally and figuratively. As often as I can, I use local newspapers to add authenticity, and the form the sculpture takes is a reflection of the personal connection I feel to that particular city. From a day-to-day standpoint, I’m heavily influenced by my surroundings. These days, I draw inspiration from America’s South West, and in particular Tucson, AZ–where I’ve lived and worked for almost four years. Going from NY to the desert is a pretty dramatic shift. Your concept of space expands when it’s not obstructed by buildings. You pay closer attention to nature because you’re always in it—and you do what you can to preserve it. You can see much more of Nick’s work on his blog.